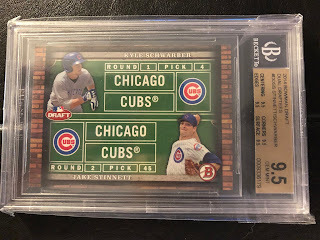 So, my goal was to get some cards listed on eBay tonight, and while I got all the pictures taken, prepped and ready to go. However, eBay isn't cooperating. So, rather than post them for sale, I'll throw the pictures up here and see if anyone has any interest. Where are my Yankees fans at? Mr. Harmon Killebrew! 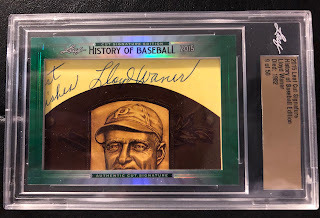 HOF Vintage, how about that? Future HOF'er Jeter in his RC glory! 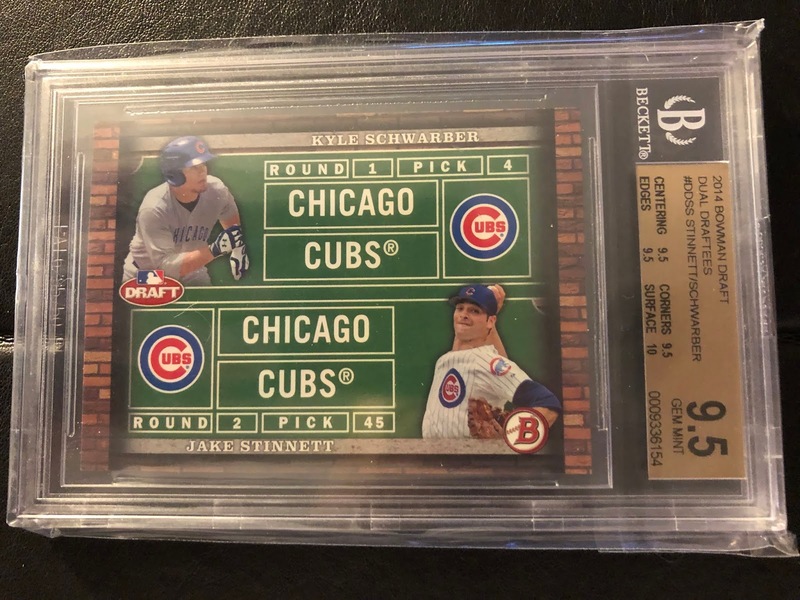 Yes, it's 7.5 but I understand this is one of the harder cards to get a good grade on, and is probably in the $125-150 range. The Acetate cards are very hard to take pictures of. Should have gone with a solid white background. My bad. 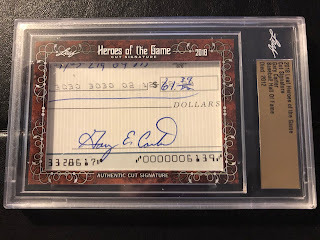 But it's a Cal auto /50! 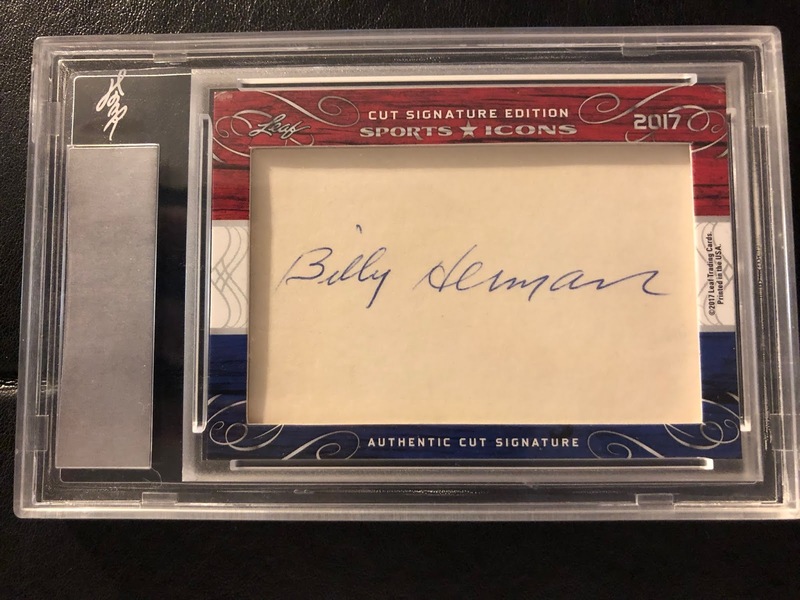 Speaking of HOF'ers, we have a dual front/back auto of Bobby Doerr and Billy Herman. Nice! Jorge Soler wouldn't be still sitting in my collection if he hadn't been traded to KC, I swear. These are two different cards. Yes, I have two of them. Long story, no I didn't submit them myself. Michael Conforto from his USA days! A very nice Julio Urias 1st Bowman 9.5! 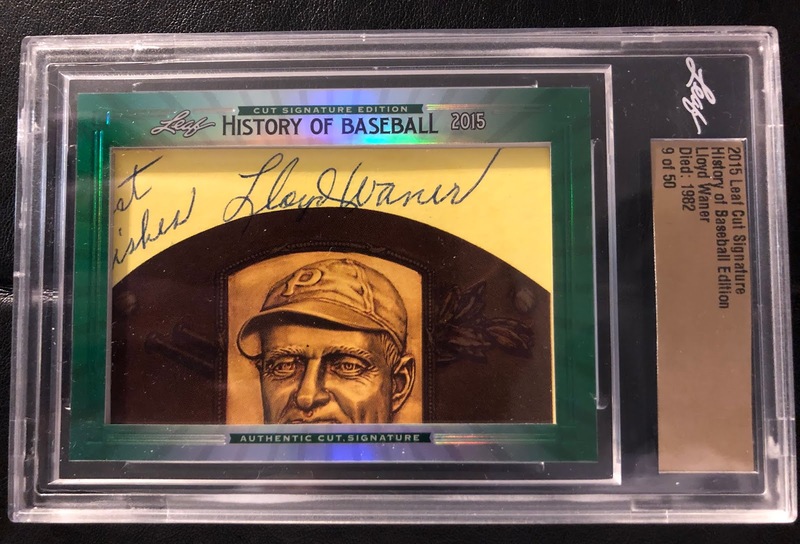 TY COBB ALERT! 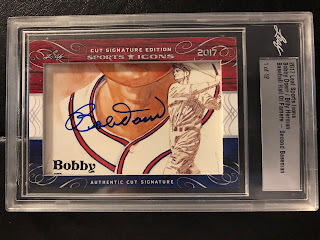 And a Pristine 10! 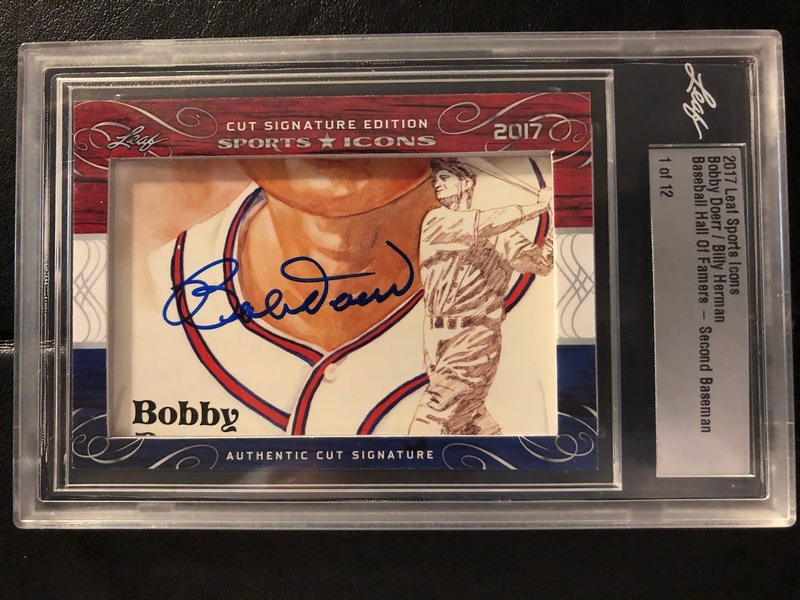 Why would someone grade a Bo Jackson base card from a Panini product? I dunno. Glutton for punishment? Randy Johnson from Prizm? 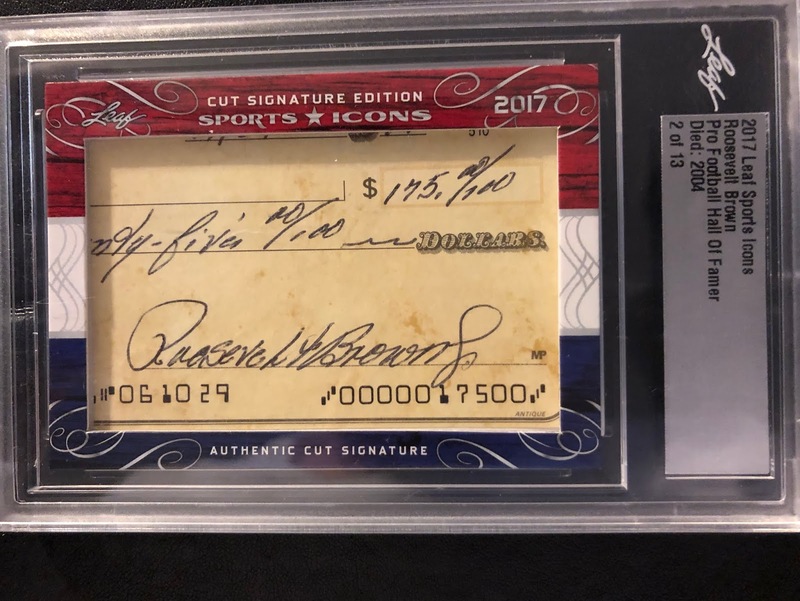 Apparently the Bo Jackson guy just didn't know when to give up. 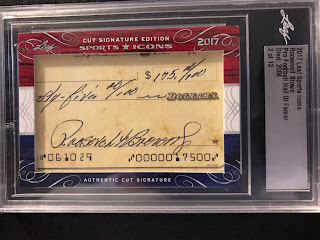 Finally, we have a cut autograph from Roosevelt Brown. 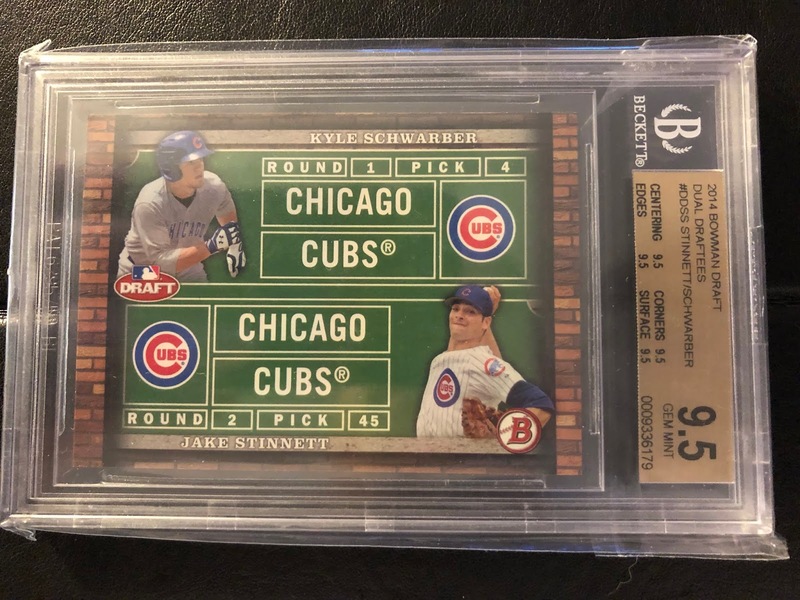 Well, I'm not saying I'm getting rich off most of these, but I eventually will get them listed if eBay ever cooperates. If you're interested in any of these, throw me an offer or trade proposal! Maybe some people think shiny cards just need protection. lol. Who knows. I can't wrap my head around grading in general. 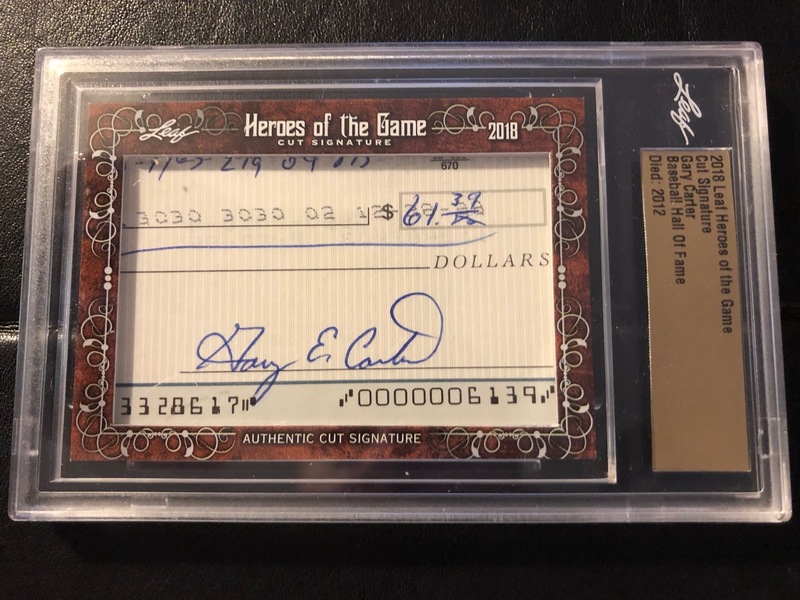 Got a Mantle rookie card, sure, grade that, but modern cards?